In particular, less than 1 out of 3 young people in the UK recycle plastics (29% in the UK, 24% in Germany and 18% in Poland). When it comes to the average population, less than 50% of consumers recycle all plastics after using them in the UK (45% in the UK, 51% in Germany, 35% in Poland). 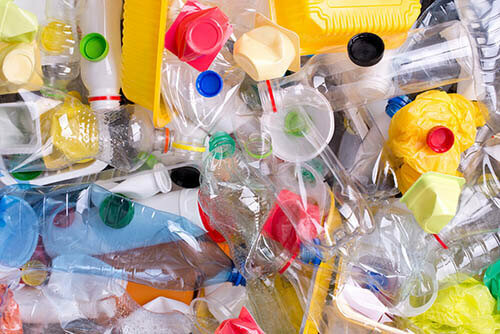 Interestingly, the main reason consumers do not recycle is that they are confused and ill-informed about what types of plastics are accepted for recycling. In Poland, respondents cited other barriers, such as less willingness (17%) or inconvenience to recycle (17%). To the question of what plastic waste management system consumers are more likely to accept, i.e. recycling, energy recovery, landfilling; 93% of UK consumers prefer recycling over landfilling and energy recovery. This result was echoed in both Germany 95% and Poland 94%. The study also shows that there is huge resistance among consumers to send plastic waste to landfills (Germany 70%, Poland 74% and the UK 82%). Views seem to be divided about waste-to-energy solutions. Consumers in Germany (63%) and the UK (70%) are generally positive about energy recovery, while the Polish population is evenly split: 46% pro and 45% against. The survey concludes that over half of consumers in each country are eager to know more about what happens to plastics once they are collected (64% in the UK, 74% in Germany and 54% in Poland). However, consumers are also less willing to pay more for the production of resource efficient products (43% in the UK, 28% in Germany and 30% in Poland). When questioned about their awareness and understanding of environmental terms, there was a clear divide between the three countries. In the UK, there was a high level of awareness and understanding of sustainability (81%) and carbon footprint (88%). Only a small fraction of respondents had heard about resource efficiency (21%) and the circular economy (7%). This is why, PlasticsEurope will continue its engagement in the UK, notably by organising the IdentiPlast conference on waste management in London during the first quarter of 2019”.